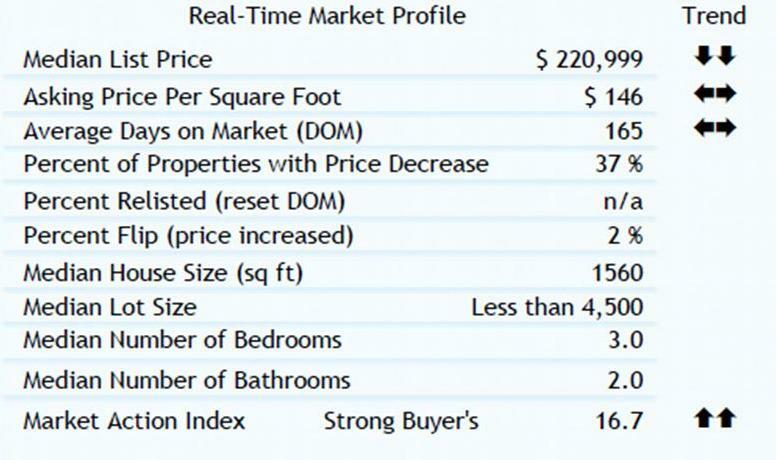 The median list price is $220,999. With inventory and days on market basically unchanged and the market action index increasing, the market is not sending strong directional signal for the near term outlook. ← $8 Million Graduate Hospital Package!